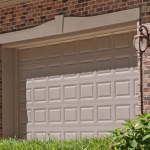 A-1 Garage Door Service Repairs most brands of residential garage doors and openers. We install the top of the line Liftmaster openers and have selected products. We install products based on quality, dependability, safety, and value. The sectional steel door we install can be found online at www.chiohd.com. 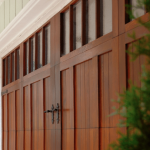 We also install custom wood sectional doors by a local manufacturer. This catalogue can be viewed online at www.sunwooddoors.com. We also install custom one piece doors and glass. aluminum, and fiberglass products. Our garage door springs broke so we got three estimates for repair. 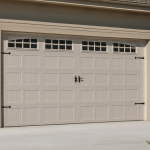 A1 Garage Door Service was the best deal plus they came out right away and fixed everything. 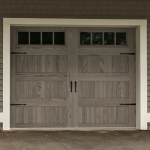 If you need someone for your garage doors this is the place to go. I needed to replace an old wood garage door and called A-1 strictly because the yelp reviews were so great. I'm so glad I did. I highly highly recommend these guys. I phoned them on a Friday and spoke to Connie to schedule an appt. She couldn't have been nicer!! They came out the following Monday with all the information I needed to order a new door. They had the new door installed by Thursday and hauled off the very heavy wood door in seamless fashion. The entire crew was extremely nice and very thorough with explaining things. Thank you A-1 for the great work and exceptional customer service! Great again. Have used them before when our garage spring broke and Frank came out right away to assess. My husband ran into garage door and while door had to get replaced. This coming to remove and install were very nice and professional. Thank you! Very helpful and friendly staff who kindly gave us some free troubleshooting advice over the phone before needing to schedule an in person appointment! 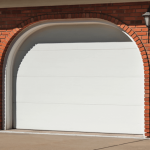 Clearly very knowledgeable, they were able to fix our garage quickly and even did a few adjustments to help make the garage door quieter. Highly recommend them! Since my ancient Sears garage door system broke down,I had it replaced. I also decided to get the original heavy wooden Door replaced. The crew from A-1 came out on time and within a couple hours I had the door and system replaced.